The other day my mom read this hair mask recipe in the magazine and asked me to try it. I'm not a hair mask fan...I just can't stand such things. I usually want to wash my hair quickly and be done with it. So I applied the mask anyway and it turned out to be a total miracle mask. The mask not only made my hair SOFT but also happened to straighten my slightly wavy hair to some extent. It also added SHINE to the hair (unfortunately, it wasn't the glossy shine you see in the ads but there was visible shine). And all this happened in one use! At work, one of my colleagues asked, "Did you do something to your hair? It looks healthy". Depending on your hair length, take equal portions of yogurt & mayonnaise and mix with the egg. The consistency of the mask will be like ketchup (not too runny not too thick). Cover from root to tip and wait for an hour. Then wash it off. That's it! You can use it either once or twice a week. I don't recommend this mask for people with oily hair. Here's why the mask works. Yogurt as you know is amazing to use on hair (and face. It has cleansing properties because it is milk), mayonnaise has numerous things including egg yolk, vinegar and oil. While washing my hair, I used Redken's All Soft Shampoo so I think this added to the softness in addition to the benefits from the hair mask ingredients. So there you have it! 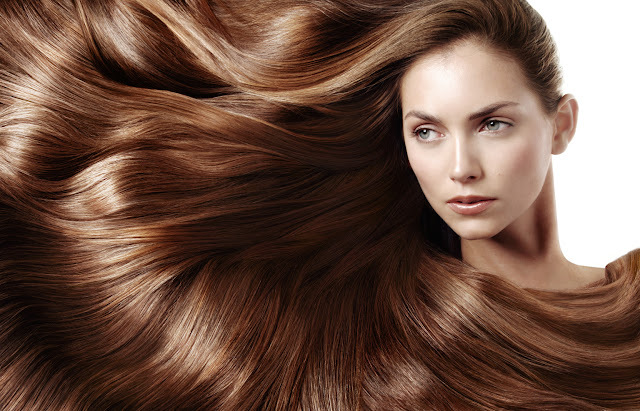 Soft gorgeous shiny hair without having to step into a salon. Here's my other deep nourishing home made hair mask to try.